Are Bloggers “Journalists?” GOVERNMENT Federal Shield Law May Decide. VictoriaTaft.com Blogforce Weighs In. We’re all Thomas Paine now. Wouldn’t it be great if you could pick and choose your opponents? Like boxing managers in some smoky room in Vegas deciding who would get the next shot at the heavyweight title, your opponent would be hand selected based on what you, the champ, believed would best serve your needs. In a sense, the Obama Administration proposes much the same arrangement with news coverage. President Obama has asked Senator Chuck Schumer to reintroduce federal Journalist Shield Law legislation. In the age of Wikileaks and Ed Snowden, President Obama is understandably concerned about people leaking government secrets. You know, like the New York Times leaked the Pentagon Papers in 1971. The shield law would allow a journalist a get-out-of-jail free card if they refuse to reveal a source of a story. But there’s a catch. Government would decide who qualifies as a “journalist” and leave the seriousness of a journalistic transgression up to a judge to decide. The government would presume to separate the legit journalists from the non journalists. And that puts Barack Obama in the role of Don King. Journalism isn’t a priestly caste or professional guild with special rights. It is an activity we all have a right to partake in. Whether it’s a blogger with a virtual tip jar exposing malfeasance or 60 Minutes making fraudulent charges about George W. Bush, there will always be good journalism and bad journalism. 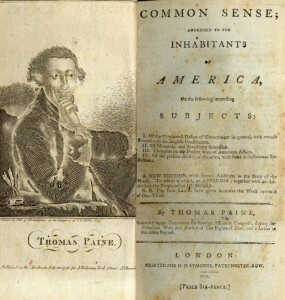 Thomas Paine was a blogger of his day. Would the pamphleteer who wrote Common Sense make the cut in DiFi’s world? Journalism is done for the public good, but it is a private activity. What role does the government have at all in this private activity? It also protects free speech, free assembly, freedom of worship and the right to petition the government for the redress of grievances. We all have these rights. The Washington Post’s Bob Woodward has no more rights than my dentist. The Washington Post’s Bob Woodward has no more rights than my dentist. It’s possible lawmakers have the same deliberate misunderstanding of the First Amendment as they do of the Second. Rights are accorded every individual citizen, not just government approved subsets of people they call ‘journalists’ or ‘militias.’ With that in mind, I’ve asked the VictoriaTaft.com Blogforce and others to weigh in on this issue. The following are their essays from their own perspectives. What our President and some Republican cronies are attempting to do with this legislation is evil. They seek to exploit public outrage and endless rolling crisis (Obama’s “phony scandals”) to attack and erase our basic Unalienable, God-Given Constitutional rights. “We all have these rights. The Washington Post’s Bob Woodward has no more rights than my dentist,” says blogger Jonah Goldberg. NSA is turning America into a “Total Surveillance State,” a “Prison without walls.” DOJ is lying to judges and committees while bugging reporters and Congress. IRS and many other Federal agencies are being used as political attack dogs, and NOT just against the TEA Parties, against companies like Gibson Guitar, non-profits like True the Vote, and, yes, against journalists and writers. We also have the Benghazi, Extortion 17, and Syria cover-ups. Who dares speak against this? Where is Paul Revere? The media has totally failed in its traditional 4th Estate role. It has moved beyond bias to being an integral part of Team Obama, a propaganda arm with financial and family connections. The old media is no longer trusted, declining, and becoming irrelevant. New networks are emerging, from Fox to The Blaze, part of a return to grass roots journalism with powerful new technology. Instead of Thomas Paine and his pamphlets, we now have legions of bloggers, writers, PACs, and informal networks, most of us seeking to spread truth, each in our own way. America is seeing a new awakening. The embers of freedom still burn. This threatens Washington insiders, the power elites in both parties. They don’t want to face investigations, arrests, and impeachments. Instead of enforcing existing laws, they seek to pass new laws and empower bureaucracies to ration freedom and circumvent the Constitution. The proposed “Shield Laws” are just one more attempt to create classes of Government Given Rights to favor insiders and to replace the God Given Rights endowed to ALL Americans by our Creator. It is an interesting time to be a Thriller novelist. My last novel, Privacy Wars, won three national awards, predicted the NSA and IRS scandals, and is getting more discussion in political groups than in bookstores. My next book, Soft Target, has a SPEC OPS storyline. I don’t even HAVE a blog yet. I’ve planned to start one as my Email lists are badly overloaded, but if we have government control of public speech, it is game over. Not just for bloggers, for all of us, and for the America we love. [I]f we have government control of public speech, it is game over. Not just for bloggers, for all of us, and for the America we love. Citizen Journalist, Dan Sandini: So by way of introduction I’m Dan Sandini, a double Masters with top grades and 20 years in tech and finance. Came from nothing except three squares, a roof, and parents who loved and cared about about me. After retiring self-made at 42, I saw Breitbart give a speech on YouTube and became a Citizen Journalist. I’m lousy at all aspects of it, but was good and persistent enough to help expose the reality of Occupy, meet Breitbart and contribute to his movie Occupy Unmasked. I want to say that it is my belief that all Citizens of the United States of America are, and should be considered Journalists. I’ve learned that the truth is no one story. That each of us as Americans, even when seeking to to offer “just the facts,” offer unique perspectives. Only with a collective perspective, available to all other Citizens, can we as a society form a consensus of what reality is, and thereby make the right decisions forward as a nation. 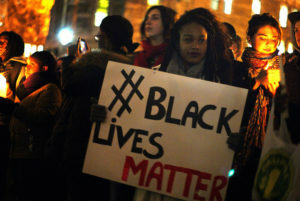 I have seen Blacks the target of racism, and have the act ignored by the reporters of every mainstream media outlet in the city in the interest of political expediency. 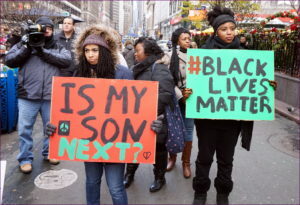 Without one brave TEA Party Mom with a cell phone camera, the truth would still be unknown. But thanks to her: the truth is undeniable. Further, without having any formal education in philosophy or history, I have an innate sense that we humans are extremely special beings, all created equal, endowed by our creator with certain unalienable Rights, including our freedom to report the news as we see it. This Right has been protected from legislators such as yourselves under the First Amendment of the United States Constitution. Thomas Paine said: “When men yield up the privilege of thinking, the last shadow of liberty quits the horizon.” Please do not let history record that it happened under your watch. Nothing is more threatening to United States law enforcement’s ability to protect our free society than artificially limiting freedom of speech. 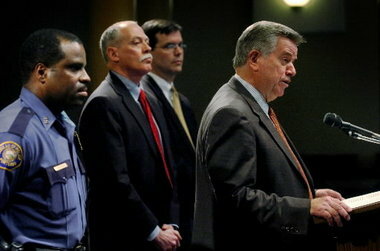 Agents of the FBI, Sheriffs, Chiefs of Police, State Troopers, Deputies and police officers in general have long relied on the right to engage anyone, in the court protected Fourth Amendment use of the force principle known ,”Mere Conversation.” Courts have long protected that principle with or without a specific purpose for the conversation. The freedom to ask questions, interpret the answer, and publish those exchanges in police documents as a part of the public record (available to a free press) is the check and balance courts have set out as the most fail-safe method limiting the abuse of the freedom of expression of an over ambitious law enforcement agenda. 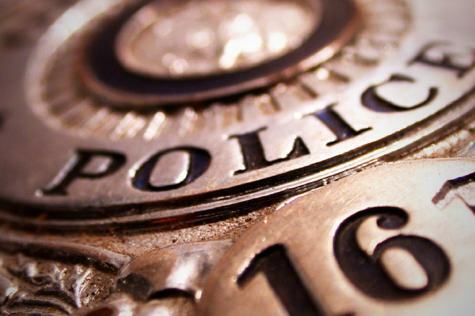 First and foremost, the courts have protected the right of law enforcement to be journalists undefined by law, with the right to ask and the purpose to inform of a crime past or a clear and present danger that may await. First and foremost, the courts have protected the right of law enforcement to be journalists undefined by law, with the right to ask and the purpose to inform of a crime past or a clear and present danger that may await. When Congress redefines Free Speech by defining a “journalist” with the purpose of limiting who is protected for sharing views, the real danger is not who is included in this newly created clique but who is left. The basis of police writings are nothing more than written observations informed by events which are often subject to the individual interpretation by individual “police” journalists. We not only allow, but courts have extolled the social virtues of, allowing police officers to lie to bad guys in order to get to the truth of a potential or actual criminal act to protect (the predefined) good guys. Eventually, both the lie and truth it may or may not extract become part of these journalistic observations. We trust that this creative fiction serves a greater interest, but even more, we trust that protecting the right of these “sworn citizen journalists” is a social necessity. The observations that lead to those lies to get to the truth are necessities worth protecting. These journalists may be summoned to court to validate the fiction, but most often they are not. These cop journalists are given the benefit of the doubt. In fact, we praise their results even if the cop had to lie to get to the truth. So it would lead this long-time “police” journalist to conclude that when Congress sets about redefining who gets protection for their journalistic creativity and who does not, it is defining what has social value and what does not. Congress could keep redefining what ‘value’ is and the rationale to decide. Congress could someday decide to end protection police journalists have for what they observe and record. Congress could decide to end the practice of allowing a cop to lie to get to the truth, saying that we are no longer allowed to judge the value of the lie but only experience the result of the lie on the public record and in the public consciousness. If that happens, we have gone way past “In God We Trust.” Instead, we will have completely forsaken one of our founding principles on which free speech was born, “…[T]hat these truths are held to be self evident.” I wonder if they meant “…but only as viewed by Congress. Bernie Giusto, Multnomah County Sheriff (Retired), Chief of Police, City of Gresham,Oregon State Police, member Victoria Taft Blogforce. The Constitution we appreciate and embrace so deeply is threatened by Democrat politicians, from the present incumbent in the White House, Barack Hussein Obama, down through the Democrat Senatorial and House ranks. Now we have Senators Durbin, Schumer, Feinstein, et al, threatening our First Amendment rights, namely by defining who is a “real” journalist. The Shield Law attempts to place some limitations on courts and police from compelling journalists to divulge anonymous sources. But Senator Durbin wants to penalize those whom he disapproves of, especially those who write words he finds objectionable and not supportive of his leftist views. In a recent opinion essay published in the Chicago Sun Times, Senator Durbin argued it was “time to say who’s a real reporter.” In other words, he wants many of those on the right to be stripped of their First Amendment protections. The Democrat supporters now want the Obama Administration to be the arbiter of who the First Amendment can apply to. In other words, the old Marxist aphorism that, “all people are equal, but some are more equal than others,” will apply and severely affect everyone’s rights – but primarily conservative bloggers and writers who oppose the soft tyranny that is the Obama regime. Anyone can report the news and so they should. Just because amateur reporters or freelance journalists are mostly unpaid and work independently should not preclude them from enjoying the same First Amendment privileges, which the so often biased leftwing political hacks who infest the mainstream media receive. Victor Sharpe is a writer for many national blogs, including American Thinker, is a musician and a middle east expert. Free Speech is Free Speech; without compromise. The US Founding Fathers produced a masterpiece. It works because it has no illusions about the nature of people. As George Washington said, “We must take human nature as we find it, perfection falls not to the share of mortals.” They knew some people would attempt to ignore, bypass, or even corrupt a free society. They understood the power of power; the corruption of power; and the power of corruption. They anticipated Lord Acton’s comment that power corrupts and absolute power corrupts absolutely. Alexander Hamilton said, “A fondness for power is implanted, in most men, and it is natural to abuse it, when acquired.” James Madison expressed it this way. “Where an excess of power prevails, property of no sort is duly respected. No man is safe in his opinions, his person, his faculties, or his possessions.” They designed a system that anticipated and precluded demagoguery. They knew the key was free speech and so made its protection the top objective. They knew governments were the most likely to abridge or control free speech and so made the second amendment the ability to defend it. The Fathers also understood that information and its dissemination is power and recognized the role of the media as the Fifth Estate. The US people and their constitution is being challenged as never before partly because the media failed. It is the pattern of previous civilizations that they begin to fail in the second century of their existence as demagogues and power elites undermine the values, institutions and thereby the belief of the people. Marshall McLuhan coined the phrase, “global village”. It was the first part of information democracy. The second part was the creation of the Internet. For the first time in history a majority of people had access to information but could contribute their ideas and participate in discussions among large numbers of people. People realized the value, openness and diversity of the internet so it quickly became the source of information for more and more people. This accelerated the demise of the media already in progress because of their failure to act as the Founding Fathers had envisioned. In an ironic twist the success of the internet and bloggers has triggered attempts to limit their role. The media want the politicians, who they are supposed to prevent from limiting free speech, to limit free speech. They want journalists designated a special group and protected under a shield law. A hint of the media concern was a comment by Juan Williams on FOX news about the unprofessionalism of bloggers. As Harry Emerson Fosdick said, “Democracy is based upon the conviction that there are extraordinary possibilities in ordinary people.” Don’t let them be suppressed in any way. Lack of professionalism, failure to expose wrong doing and open bias among the media are the main reason the public are not listening to them anymore. Their solution is to enshrine rights they have already failed to uphold and to suppress ordinary citizens who have used a vehicle of free speech to seek the truth. The blog site is equivalent to the Pamphlet during the Revolutionary War. They were the vehicle of the people’s ideas and were critical in achieving freedom leading to the construction of the Constitution. Those freedoms are under attack as never before. This apparently small battle over control of the internet and information is central to the progress toward a full functioning and free society. As Harry Emerson Fosdick said, “Democracy is based upon the conviction that there are extraordinary possibilities in ordinary people.” Don’t let them be suppressed in any way. I’m not sure if this helps frame the issue or not. While I certainly don’t like the idea of Diane Feinstein defining who is and is not a “journalist” today, the question remains: Who is a journalist in today’s world where anyone and everyone with a smart phone and a YouTube account can self-publish “news” as a “citizen journalist?” Let me give you two examples in Oregon unrelated to the shield law, but with legal implications nonetheless. Oregon is the only state that allows the media to sit in on executive sessions of public bodies (I know because I am an elected official of a large suburban school district). Under Oregon law, the media may attend, but may not report on what they learn. In our district, we have had local reporters from the Gresham Outlook and Oregonian sit in on out executive sessions in which we discuss some pretty touch subjects. But the question remains, who is “the media?” Can any citizen journalist with a WordPress blog, including some of our more activist OEA members, demand entry to our executive sessions as members of the media? It hasn’t happened yet to us, but there have been a handful of instances where just such a demand has been made by a blogger who was denied entry as a “legitimate” member of the media. If everyone today is a potential “citizen journalist” then no one is a journalist. It has become the classic distinction without a difference. At some point, someone – whether the legislative or judicial branches – must proffer an objective definition of “the media” or “journalist” if these statutes are going to have any meaningful effect. I realize there is a subtle difference between “journalist” and “media” but not much. I don’t have an answer for this issue. Perhaps Jonah Goldberg is right: abolish all special protection for “the media” if in fact everyone and anyone can now call themselves a “citizen journalist.” But good luck getting those laws changed in the face of stiff media lobbying. If anything, there may be efforts to add internet blogs to Oregon’s list of “publications.” At some point, someone – whether the legislative or judicial branches – must proffer an objective definition of “the media” or “journalist” if these statutes are going to have any meaningful effect. If not, then I agree with Goldberg and let’s just abolish all special protection for “the media” who now include anyone with a smart phone. Who died and made Dianne Feinstein the newest William Randolph Hearst deciding who is and who ain’t a journalist? This paraphrase of what every kid in America has said at one time or another to the grade-school busybody who shoves everyone aside to make up her own tetherball rules or decide that her friends get first in line at the drinking fountain, fits California’s Democratic senior U.S. senator to a tee. Setting aside for the sake of argument that part of the First Amendment that says “Congress shall make no law…abridging the freedom…of the press…” that makes this a legally-dubious and specious effort, from a policy standpoint, what she is doing is deplorable public policy. This begs the question as to what qualifies as “an entity or service that disseminates news and information.” Nobody rightly knows. One thing we do know from listening to her, however, is that she’s on the warpath to exclude bloggers – especially teenaged bloggers – from any protection or coverage at all. Have California bloggers been so unkind to her that she now has a fetish to persecute them? But journalists are no better since they love to run a closed shop with high barriers to entry erected in the name of so-called “professionalism,” but which more resemble a way to keep the riffraff competition out. Even their professional organization – The Society for Professional Journalists – which was founded as a fraternity in 1909, likes to gussie up the family tree in order to distance itself from your grandfather’s journalism – watch “His Girl Friday” for a comic look at how it was in 1940 – to those who peddle their wares today. If you want to get in their club, you have to play by their rules or don’t play at all. All of which is reminiscent of the struggles I had several years ago with the Capitol Press Corps in Olympia when I covered state government for the Freedom Foundation in Washington state. I was there to report the news, dig up stories and tell those who read our blog what was going on. But because I didn’t get paid by an organization whose purpose was to report the news as they defined it, I couldn’t get press credentials, which consigned me to the cheap seats up in the Senate and House galleries, which occasionally had its advantages since I was forced to take a more panoramic view of things that allowed me to uncover a unique form of official chicanery. I did get credentials from the United States Congress when I spent some time in Washington, D.C. to cover a story, but that wasn’t good enough for the Statehouse crowd. Technology and market forces have, and will continue to change, journalism. So, what else is new? Part of that change is discarding some of the old to embrace some of the new. Then TV came along to displace newspapers as the number one source of news for Americans, with the Internet making strong inroads to eventually displace the tube. About the only thing certain in all this is that most Americans distrust traditional news outlets. Sixty percent of those surveyed by Gallup a year ago said they don’t believe newspapers, TV and radio report the news fully, fairly and accurately. What happens when you have a product the public regards as lousy? They stop buying, and the bottom line gets whacked. Let’s face it: Journalism and news outlets are in the toilet nationwide. Newspapers have seen a 30 percent reduction in headcount since their heyday of just over a dozen years ago. Almost daily, print news outlets cease publication and convert to exclusively digital content. For-profit journalism is increasingly supplanted by non-profit journalism, which is itself struggling. Once there were close to three dozen reporters covering the Washington State Legislature and the governor’s office in Olympia, but by 2009, it was tough to find a fourth for pinochle because so many publications stopped sending reporters to cut costs or because it was easier to publish the AP feed. It’s no better in radio and TV, where bottom-line driven headcount reductions and thinner news coverage is the order of the day. Yet the honorable gentle lady wants us to restrict the definition of journalist to a dying breed. Maybe it’s because the less there are of them, the better politicians like it. After all, isn’t a journalist’s job to hold politicians accountable – something on the order of speaking truth to power, comforting the afflicted and afflicting the comfortable? Nah – that only mucks up the journalist’s next gig, which is working for the very ones he’s supposed to be watchdogging. The hottest career move in journalism these days seems to be jumping ship from whatever “news outlet” you see dying on the vine to going to work as a PR flack for government. It’s happening both on the federal level and at the state level. Back when I covered the capitol for the Freedom Foundation, yesterday’s Seattle Times or KING 5 reporter popped up as today’s “official spokesperson” for this, that or the other mayor, county executive, state agency or even the governor. Instead of comforting the afflicted and afflicting the comfortable, journalists are seeking out jobs that afflict them with comfort, which makes veteran reporter Seymour Hersh as mad as a wet hen. Hersh, who received the Pulitzer Prize for uncovering and reporting on the My Lai atrocity during the Vietnam War, thinks that those who pass themselves off as journalists and editors these days should be fired because they’re too cozy with what he calls the “total nincompoops” who run the world. Quoted at the UK’s TheGuardian.com, he’s especially critical of The New York Times for spending “so much more time carrying water for Obama than I ever thought they would.” And, he contends, the Obama administration stopped informing the American public years ago about what the government was doing and morphed into a full-time auxiliary of the president’s re-election campaign. He hasn’t much use for any of what he calls “insiders” in journalism today. His solution is for newspapers and news outlets to hire outsiders that cannot be controlled and turn them loose, which brings to mind the lowly blogger. I know this guy, an outsider, who runs a blog in West Seattle, and he’s taken it upon himself to do what the newspapers and TV stations in Seattle and King County won’t, which is investigate and report on alleged corruption of publicly-funded homeless activists and their cozy relationships with city and county government. OK, so David Preston doesn’t always follow the AP Stylebook, but his Blog Quixotic performs a valuable public service by investigating how the public’s money is being spent, whether the spending complies with the law and generally what public officials are doing on a matter of significant interest to taxpayers. But according to Dianne Feinstein, he’s no better than a 17-year-old blogging in his parents’ basement, ergo he’s undeserving of Shield-Law protection. If he’s not, then nobody is, and maybe that should be so all the way around. There’s a case to be made that shield laws do more harm than good because they promote whispered secrets and half-exposures of the truth. If you’re going to have one, it shouldn’t exclusively apply to a government-defined class of swells who are already too cozy with those they’re supposed to investigate and upon whom they’re supposed to report. It’s enough that some in government try to regulate the editorial content of newspapers critical of their action, even doing it repeatedly, or that newspapers sidle up to legislators currying tax-relief favors, which then makes their news and editorial coverage of the government questionable since they’re arguably beholden to it for survival. How about when one of Sen. Feinstein’s colleagues suggests the government should financially bail out failing newspapers? No matter how you slice it, it’s creepy. And what are you going to do when “real” journalists partner with bathrobe-clad bloggers to provide coverage in neighborhoods and on topics the big boys have abandoned? That’s happening, but no protection for the blogger half of the partnership from Sen. Feinstein. What people want is the news reported to them in an honest and straightforward manner. They no longer care if it comes from their local version of The Daily Planet or TheDailyPlanet.com, a local blog. If the facts are there and the story is accurate, that’s all that matters. If “journalism” gets practiced by a 17-year-old looking into miscues in the faculty lounge or a 70-year-old crusading for a new senior center who uncovers evidence of official misconduct, then so be it. In any event, one clear obscenity is what Dianne Feinstein is trying to do to bloggers. Since the days when the legend of Wyatt Earp was borne, Sheriffs (with a capital S), have been an independent and often interesting lot. The proof can be found in the statutes of law that now that define the unique powers of the office and gives strength to their claim of independence. Because the Office of Sheriff is generally the only office of law enforcement authority in our country that is elected by those that the office serves, Sheriffs are fierce defenders of that independence. They believe and understand the responsibility that comes with that independence. It is both their duty and in a very real sense, the perception of the unique nature of the office by those they serve that requires them to speak or act when others cannot or feel powerless to do so. The personal consequence of acting on that independence must always give way to greater protections those powers offer to a citizenry that places a high value on that independence. 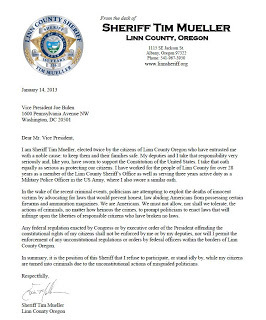 So no one should have been surprised this week when in open letter to the public Sheriff Tim Mueller from Linn County Oregon refused to accept President Obama’s new gun control initiatives carte blanche or for that matter perhaps any part of it. Putting aside agreement or disagreement about his position, read and feel the ferocity of the independence of rights he claims to lead his office and preserve the Second Amendment right for his citizens. Every Sheriff is different and every Sheriff’s political environment can by very different lending to how much and how often of that independent muscle gets flexed effectively. For instance the muscle man of Sheriffs resides is Maricopa County Arizona. In Maricopa County Sheriff Joe Arpaio reigns supreme. Sheriff Joe did not waste time or lose sleep waiting for yesterdays underwhelming “gun control”reruns instead of “violence control” strategies. He announced last week he was arming of 500 trained volunteers to increase the school security presence. And believe me he is underway. What is troubling is that our nation’s law enforcement leaders are distracted by in fighting over very old and very tired, misdirected, go nowhere and pretend gun control proposals like we have heard many times before; before Columbine, before the 500 street gun deaths in Chicago last year, before Clackamas Town Center, and before Newtown. But I guess there is nothing wrong if you think a Ground hog’s Day strategy sells politically and you don’t mind wasting more American lives because of the lack of real political courage. In the meantime the violence caused the lack of a comprehensive and well funded mental health strategy will go on unchecked. Add that fact to the lack of federal and state law changes which emphasize individual responsibility of gun owners. We will continue to get absolutely nowhere in controlling our controllable violence and the tragedies will continue to shake our sense of safety to the core of our Second Amendment rights. 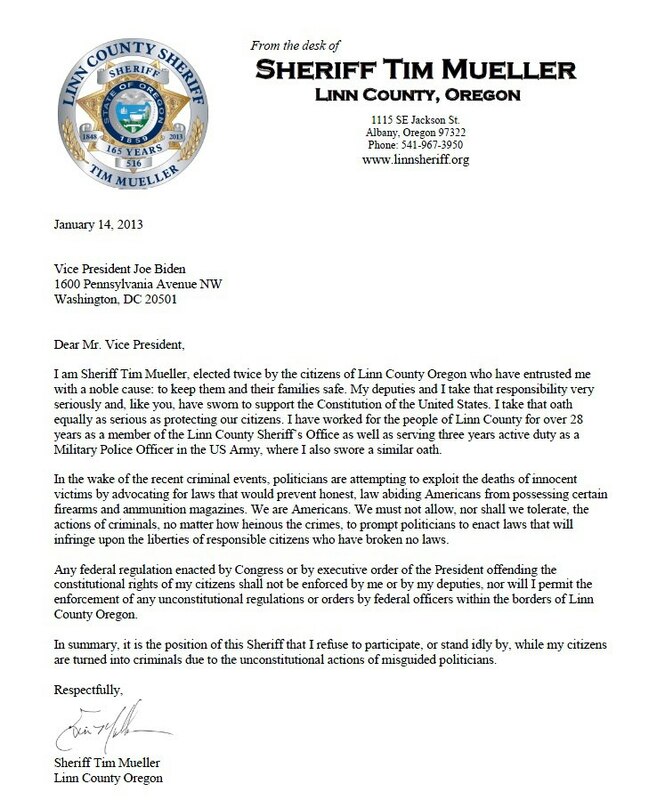 Good for Sheriff Mueller regardless if I agree with him or not. It is the risk of which political courage is made. I can understand and appreciate his position. However I also know that acting on the perceived need to take such a public and controversial position stirs concerns in the community which only highlight our political failures. During that very lawless period in open range period of the western United States the Earps acting as Town Marshalls proposed disarming everyone by having each individual turn in their sidearms while in town, including the “bad guys” in a effort to stop increasing street violence. And the town disarmed but the bad guys were not having nothing of it and mixed with a general dislike and disregard for the law in general violence rained down at the OK Corral. 150 years later we are still talking about disarming the lawful and the bad guys will have nothing of it. We have not learned much have we ? Bernie Giusto is the retired Multnomah County Sheriff. He is also the former Gresham Police Chief and OSP Trooper. He’s part of the Victoria Taft Blogforce. Over a 35 year police career you learn there are no easy answers to violence that result from deep rooted social problems. But the discussion of the Portland Police Bureau getting back into the Joint Terrorism Task Force has been a laughable parade of inaction and nonsense. As Public Information Officer for the Oregon State Police for many years it became clear to me that know matter how tough we talked or how much we protested about violent events that shocked a community or the state there was little effect on continuing negative consequences. As Chief of Police in Gresham we learned that the burgeoning number of violent events in the far west part of our community know as Rockwood were not effected by me standing in front of media event warning of future violence and asking the community to do something. As Sheriff I found there was no effective result to reduce community disorder or violence while whining about the lack of jail beds. What works is decisive leadership that takes no political hostages. The recent trend of violent events occurring on the streets of Portland and the lack of focused political leadership are a prime reason why the violence in the form of juvenile and young adult gun play will continue until the whining stops and action starts. It appears that somehow the best political minds in Portland and Multnomah County cannot conclude that we need to do something different. More amazingly it appears that if we have been taken by surprise by the recent violence. Our institutional memory apparently does not recall we have see this this in predictable cycles before over a period of 25-30 years. The only idea with merit is the illegal gun proposal. This has had a successful political history of quitting a public safety initiative that has worked to make our streets safer. In the mid 1990s a federal initiative initiated and partially grant funded by the US Department of Justice brought a wide range of high level public safety players to the table. The focus was the illegal possession of firearms with a specific focus on juvenile offenders. Teamed together the Feds and Locals made significant progress in stopping street gun violence in Portland and the region. Then quarterly agents, cops, prosecutors, probation folks and social service types would come together to assess the success of our initiative listen to policy adjustments being made and again hit the streets. The success was measurable, the impact was silent Portland streets. But apparently we can’t stand success, so led by the uninterested political Portland and Multnomah leadership we quit the Safe Streets Initiative. Now to be fair, uninterested does not necessarily mean directly encouraging the violence to return over time. What it does mean is that keeping the streets safe and juvenile gun offenders in check was not a top budget priority. In fact it did even make the list. Catch-up is costly in both effectiveness and worse yet lives that hang in the balance. Now it has to be said that police departments or police bureaus need to move on and other matters take our time and resources. However, the does not forgive totally losing sight of the issue whether it be gangs, guns or gangs and guns. 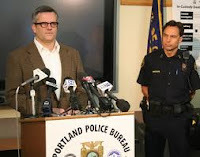 A little less than a decade ago the Police Bureau either with the support or at the direct instruction of the Portland Mayor’s Office/City Council completely disbanded their Gang Enforcement Team ( known as G.E.T.). This high powered street enforcement, street crimes unit had a laser focus on gang activity with a advanced degrees in the interception and a seizure of illegal firearms. Over time the majority community came to trust GET and the team developed a sophisticated intelligence network. The result was illegal guns often found their way to the hands of the cops instead of our kids. And no matter how violent they appear, or how often they become the victims of violence they are kids in both social responsibility and young male brain development. We shouldn’t surrender the streets back to youth gangs and the gun violence it brings. Yes, they will tell you GET is back and has been for a while but the funding commitment is an eight-to-five mentality with the political will to really bring the problem to resolution no where in sight. And in certainly does not help when our beloved Oregonian wrings its collective editorial hands with a bunch of tough rhetoric about the lack of community outrage. 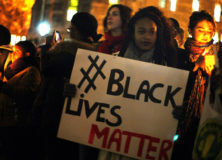 Police command personnel are quoted placing blame on lackluster community response. What nonsense! The responsibility lies directly at the feet of political leadership. So let me propose an overdue conversation directly to the issue. I have always wanted to be a Mayor! I was a Gresham city Councilor (without pay). I was Council President twice. But I have never been Mayor. Here is my chance to be the Mayor of Portland and Police Commissioner. So I have told you what I expect of you in general terms. Let me tell you what you can count on from me in specific terms. First, in your plan you will identify overtime hours to be worked by the cops without consideration for cost. Your only consideration will be their safety and targeted overtime expenditures. We will reconcile the costs weekly and you and I will discuss more or less based on results not budget. I expect in ninety days we should have a meaningful measure of effectiveness. Our tolerance for violence or behavior the is a precursor of violent behavior is now zero. I am going to see the County Commission Chair. I will be insisting that Donald Long Juvenile Detention Center begin to accept all low level juvenile offenders, because I expect your plan to include low level juvenile crime and violation custody. Curfew only being one of those acts in play. I will then talk to the Sheriff and DA and insist that adult offenders with violent crime or chronic property crime histories find their way to jail and prosecution. Oh yeah by the way, I will let the Chair know that the county is in for the additional costs of bed and prosecution for the duration of your plan. If we can’t agree we will take the issue directly to our citizens. Next I will talk to the Presiding Judge. There is really no influencing sentences but guaranteed arraignment for certain adult offenders before release after arrest from jail is a realistic discussion. We won’t forget about our probation or outreach social service partners. They will be a part of your plan I know. However making excuses for those offenders who we know are plaguing our community will not work. For those who want help we are here, for those who continue to haunt our community promoting violence the police and prosecution are the answer. Chief: ” Yes sir, you will have the plan by the end of the week”. You know sometimes it is not easy being Mayor. But before we make excuses for spending money from Enterprise Funds (water, sewer, storm water) restricted by state budget law, on college scholarships, remodeling a Rose Festival Headquarters Building, bike paths or cost overruns you choose which project, perhaps we could focus on keeping our young ones alive and fear from pervading our streets. Former Multnomah County Sheriff, Gresham Police Chief and Oregon State Police officer, Bernie Giusto, joins the blog today to opine on law enforcement, politics and the way things work around here. 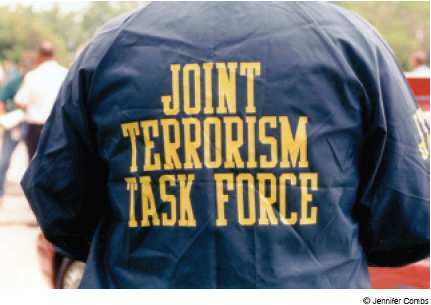 Being Multnomah County Sheriff in 2005 when the City of Portland stranded the FBI and the rest of us in Oregon Law Enforcement on the local chapter of Joint Terrorism Task Force was a surreal experience in any number of ways. Initially it was hard to believe that the largest police force representing the economic, cultural and population powerhouse in Oregon would really leave the rest of us behind. I took it personally as well. At the time Mayor Potter was asking for level of security clearance not available to any of the other police executives directly involved, including myself. Of course that would make the Mayor more special than the Sheriff. I thought, tell me it isn’t so. But when he couldn’t get a Top Double Secret security clearance he took his cops and went home. The Sheriff’s Office stayed for the greater capacity we added to the JTTF mission and out of a sense of pride it brought to the Sheriff’s Office. We also had every confidence that our deputies would be the first to let us now if anyone’s constitutional rights were being stepped on or the FBI was promoting Civil Right violations in their operations. But when the Portland City Council literally voted themselves off the domestic terrorism intelligence gathering island, I was shocked back into the all-too-often Portland reality: Political posturing, regardless of how self centered, means the rest of us will be on our own even when it comes to our basic safety. Portland had in fact turned their back on the rest of us in law enforcement– and worse– on the long term safety interests of their citizens. As the drama unfolded back then, I thought surely the political temper tantrum aimed at the FBI was a momentary political strategy to get better parking spots for the Portland Cops assigned to the JTTF. It certainly had no logical or even legitimate public safety value. I forgot that protecting us then from the growing and now proven terror threat was still way, way down on the to-do list. 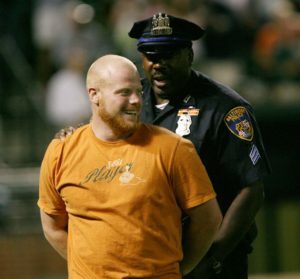 In fact, based on my high level contacts, “Operation Dumbo,” as it was known by some of us at the time, was extraordinarily embarrassing for the Portland Police Bureau command structure. The cops were willing and able to invest in the protective mission of the JTTF and help lead the way to a safer City of Portland, Oregon and nation from their watchtower. I believe that in 2010 the Portland cops area still willing and uniquely qualified to help protect our state with their potential return to JTTF. I am not sure I can have the same confidence in those who lead the our cops. That brings us to Portland Police Chief Mike Reese who in the 2010 version of the JTTF– and Groundhog Day –seems to be missing in action. It is unimaginable that his boss would not only value his advice first and foremost but insist that from the outset he be the public voice and champion for the safety of his citizens in the days following this international event. Instead Chief Reese either has no position on the city’s return to the JTTF or has not been allowed to take one publicly. Either of those options is unacceptable. We deserve to know his professional opinion. We deserve to know that even if his boss isn’t up to the job we are in the good hands of those trained and sworn to protect us. In 2005 Commissioner Saltzman was the only no vote on the city council at the time for putting Portland residents, the region and nation at unnecessary risk. His position at the time took courage but, more significantly, political common sense. I will remind you that his decision to consider the safety of his citizens first has not hurt his political fortunes in the least. He has been re-elected twice since then. In fact I would argue it makes him the public safety go-to guy on the Portland Council in 2010 when it really matters. And it really matters now. Mayor Adams and Commissioner Leonard are holding tight to the notion that what they set in motion in 2005 has no impact in 2010. But their utopian dream-world decision in 2005 turned into Portland’s nightmare in 2010. The FBI saved our butts, no thanks to the city leaders. The FBI hung out a “MIssion Accomplished” sign, but it’s too bad those responsible to protect our community had no idea that there was even a mission. Now they would like us to just get over it. Leonard of the Portland Fire Bureau, essentially argues that since nothing really happened last Friday why tempt fate by returning to the JTTF. I wonder if he would apply the same logic to spending millions of dollars to update Fire and Rescue infrastructure, including new fire boats, replacement of fire trucks with those able to fight high structure fires and highly technical and costly training for confined space rescue, since the old models and levels of training have worked just fine for us in the past. Surely he would agree, then, that if the Tualatin Valley Fire District on the west and the Gresham Fire Department on the east could be relied on to protect Portland citizens and property, we don’t need a Portland Fire Bureau. It doesn’t matter, right? Mission Accomplished and all that. That theory is as ridiculous as the one he is currently promoting regarding the FBI responsibility and role in terrorism intelligence gathering, arresting terror suspects in Portland and Portland’s return to the JTTF. Delivering bad news or giving tough advice comes with the position of leadership in elected or appointed office, especially those whose job it is to protect us. (You should note that in this context the word leadership defines the responsibility of the position not necessarily the quality of leadership on display when the going gets tough). If in the view our our elected leaders returning to the JTTF is bad news then so be it. Just say so so we can accept that perspective. But let’s get back to the job at hand of securing our safety for the different, and likely more dangerous, world it may be in 2015. Last Friday night Pioneer Square and its thousands of inhabitants were no more than a cell phone call away from being referred to in the past tense. Wrap your mind around that. The events defy the ability of our senses to absorb the fallout of such a crime. Who wants to contemplate such bad news as that? Not our leaders it seems. It is the honest assessment of that horrific potential which the elected Portland leadership is now failing to deliver. There was a tremendous pride among those who were front and center when the ill advised City Council decision to leave the JTTF was made in 2005. But now in 2010 our leaders do not have the luxury of time to sleepily shake themselves from the shock. They must deal with the reality of terror in Portland. These are the moments that reveal the true character of our leaders. Maybe we should be terrified most by those who self identify as leaders but will not face the reality that delivering bad news is in the job description. Bernie Giusto is former Multnomah County Sheriff, former Gresham Police Chief and a former Officer with the Oregon State Patrol.